Throughout the spiritual journey, God’s love engenders within every Christian active, contemplative, and solitary inclinations. Consequently, each person wants to do some good, to have a basic receptivity to God, and at times to be alone with God. As life unfolds, God’s love also calls forth within a person an overriding attraction toward one of those three orientations, which in due course impels the individual toward a corresponding vocational lifestyle: an apostolic life, a contemplative life, or an eremitic life. In this book, the authors identify the core features of those three vocational lifestyles. In light of each vocational core, they then discuss an ensemble of signs and patterns that point to an authentic calling from God. 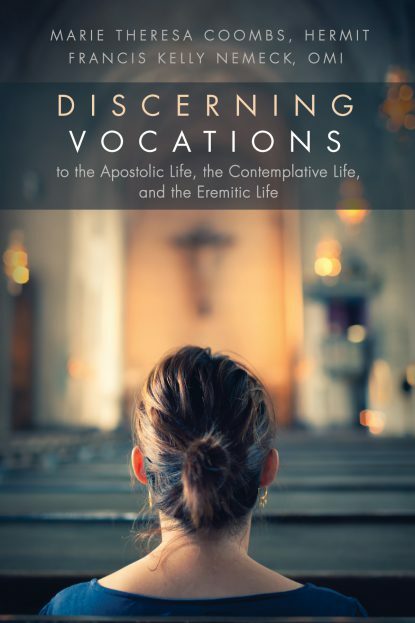 This study offers wisdom and insight to those pondering the mystery of their personal vocations, to those discerning their vocational direction, and to spiritual directors, formation personnel, ecclesial leadership, and Christian educators who accompany them in their quest.